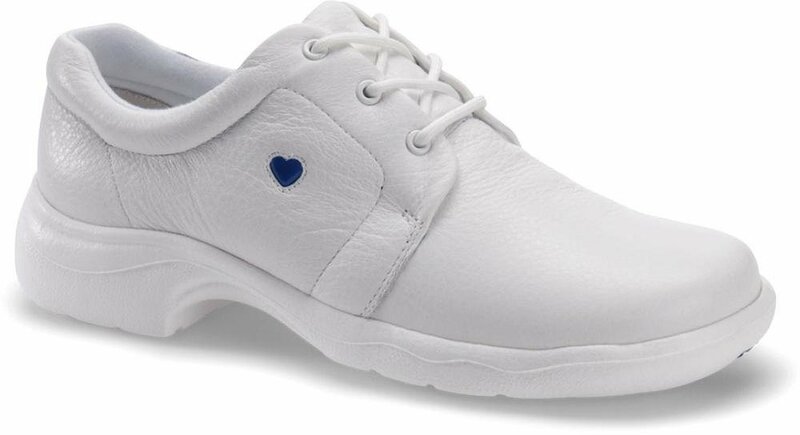 Nurses, here is a list of the most comfortable nursing shoes for you. Nurses are always the go-to people within the hospital when it comes to doing most of the caring for the sick and infirm. It really is no secret that nurses do not exactly have it easy when it comes to doing their jobs. Not only can they potentially be taking care of toxic patients, but they can also be called on to assist with emergency procedures. These kinds of things can take a toll on any nurse’s body, not to mention doing all these tasks for long periods of time every day. That is why a nurse should equip oneself with the most comfortable pair of shoes. 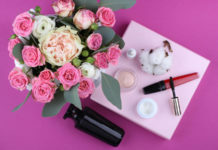 The criteria for choosing the best pair of shoes is that 1) they feel right for the feet and 2) can provide a lot of comfort and release from pain and tension. 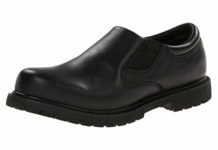 Dr. Scholl’s Women’s Kimberly Slip Resistant Work Shoe is made with 100% leather. It has this breathable mesh lining to keep you comfortable even when you are working long hours. It also has this massaging gel insole for added comfort. Now, despite how comfortable the shoes are, they are quite sturdy. 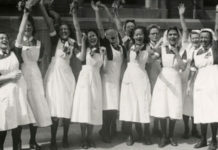 They can hold up through a lot of wear and tear which is a good thing for nurses who are always on their feet. 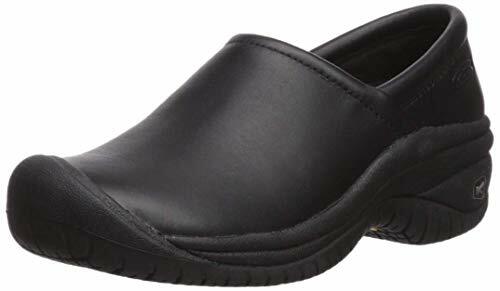 KEEN Utility Women’s PTC Slip On II Work Shoe is designed for protection. It has this Keen Patented Toe Protection where the outsoles of the shoes wrap up to provide better protection for your toes. Additionally, it has passed nonslip testing standards. What makes the shoes comfortable is its memory foam. It cradles both of your feet so you can stay comfortable throughout your shift. It adjusts to the natural contours of your feet for added stability, too. Some nurses also like and even need laces on their nursing shoes for them to be truly comfortable on their feet. When it comes to being on duty and being stylish at the same time, the Nurse Mates Women’s Angel Lace-up shoes are sure contenders for the first choice. Its tumbled leather upper is well designed to be comfortable and stylish. The size and shape of the shoes are designed in such a way that they don’t make the feet look bulky. The shoes are also surprisingly light given that it is mostly leather and has a sporty look to it. 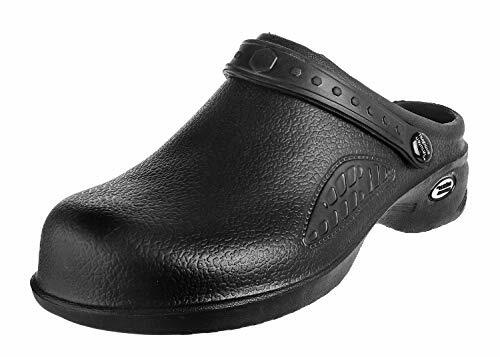 Natural Uniforms – Women’s Lightweight Comfortable Nurse/Nursing Clogs are lightweight and flexible which are two things most nurses want in the best comfortable nursing shoes. Now, if you have narrow feet with high arches, that’s an additional reason to get the shoes. They work well for people with narrow feet and for those who want a lot of rooms for their toes. The sole liners of the shoes can be removed. That way, you can clean them when they get dirty or replace them as necessary. Keep in mind that the material of the shoes isn’t breathable, causing them to retain a fair amount of heat. If your feet tend to get hot, this may not be the best option for you. DAWGS is one shoe company that really keeps in mind the kind of people that wear their product. 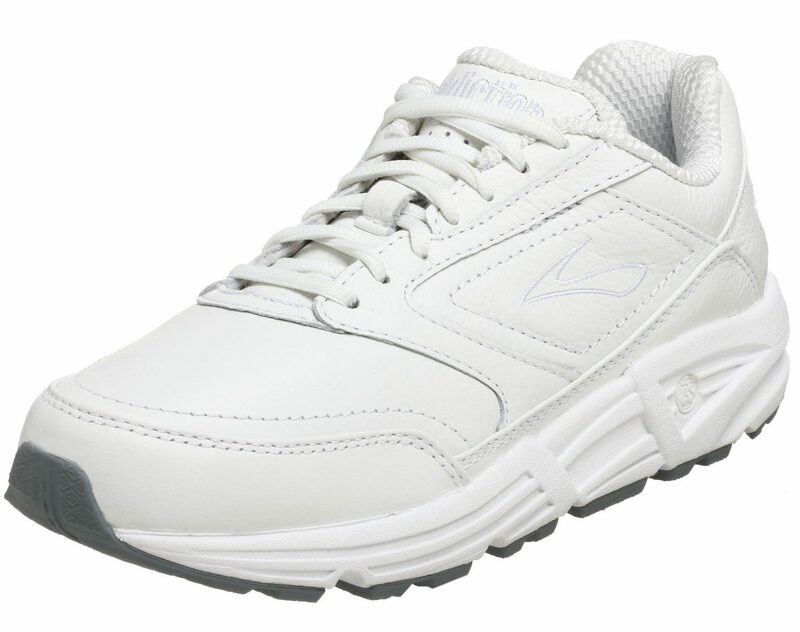 Their Women Tracker Work Shoe is specially designed to cater to health care professionals who are always on their feet and are always on the move. The shoes themselves are made of rubber and have synthetic soles that help in walking through tiled hospital floors. 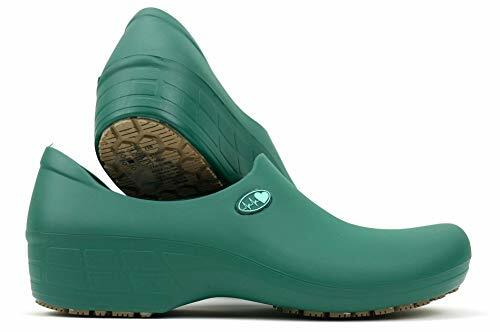 The shoes also project a highly rated slip resistant tracker outsole and even has odor-resistant technology for nurses who may have a problem with smelly feet. 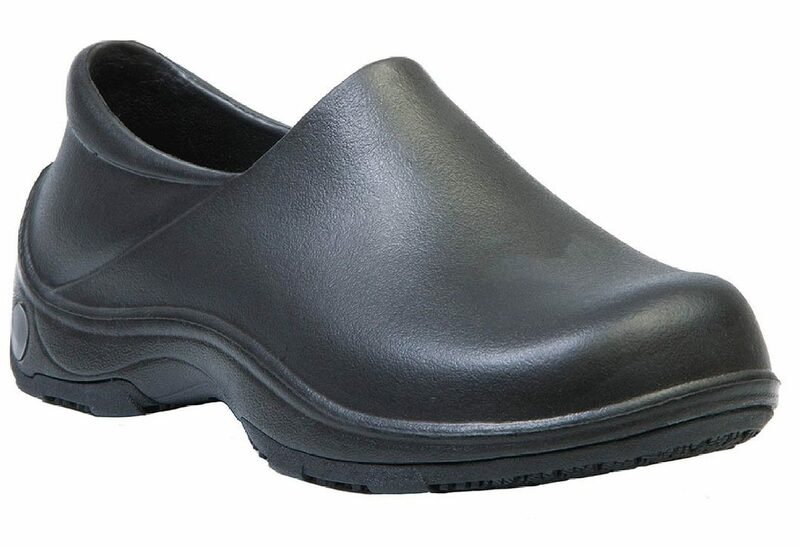 Sticky Shoes Women’s Cute Nursing Shoes are waterproof which is important when you’re a nurse. 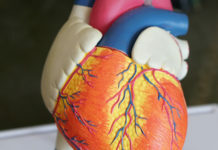 Being exposed to blood spills and other fluids can put your health at risk. Apart from protection, this pair of shoes can also keep your feet dry all day. It’s made with an absorbent material to give you that feature. The shoes are also light and designed to absorb shock with its anti-torsion system. It can give your feet the support they need to go through a tough shift. Another great lace-up for nurses everywhere, The Brooks Addiction Walker is one set of shoes that is clearly near perfect when it comes to nurse footwear. The shoes have been recommended by doctors and physical therapists alike. Not only is it good for wearing all throughout the day, it has also been found to help ease and even correct chronic foot problems and discomfort. Recommended by many podiatrists everywhere, it’s hard to say no to this wonder. Though these shoes look bulky, they are very comfortable and are perfect for those who value comfort and quality over aesthetics. 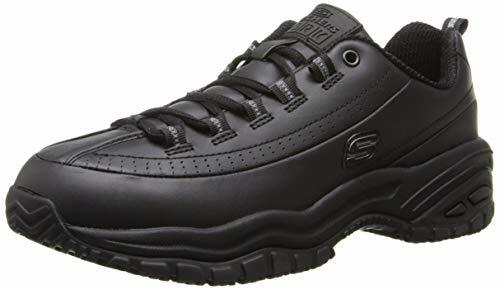 If you want something that’s comfortable yet stylish, go with Skechers for Work Women’s Soft Stride-Softie Slip Resistant Lace-Up Shoes. It’s a good pair for anyone who spends a good part of their day standing and walking. The shoes have perforated accents on each side to allow your feet to breath. They offer a lot of cushion with its thick soles. Despite that, you won’t have a hard time wearing this pair to work. The shoes remain light so you can run and walk around wearing them without problems. Skechers Women’s Work Relaxed Fit Sure Track has a rugged yet comfortable design. 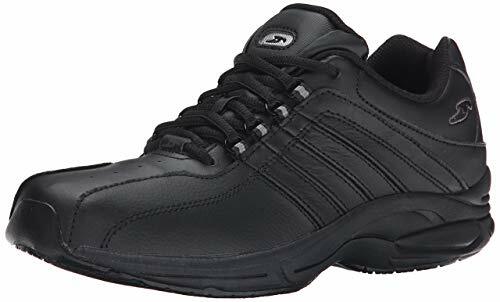 The shoes have protective leather toes and memory foam topped insoles so you can work without worrying about how your feet will feel at the end of your shift. One of the best things about the shoes is that they don’t take a lot of time getting used to. Of course, each pair of feet is unique so your experience may be different from others. However, in general, most nurses who invested in these shoes did not have issues with them even on the first day wearing them to work. 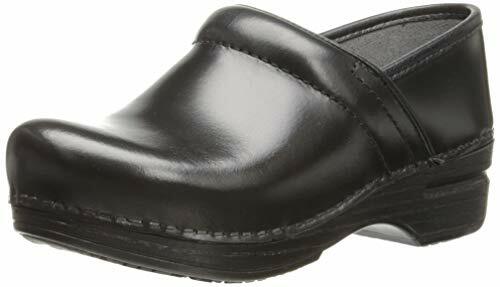 Dansko Women’s Pro Xp Mule Shoe is an easy choice when you’re looking for the most comfortable pair of nursing shoes. It has a lot of room which minimizes the break-in period. It also offers a lot of cushion which is good for both comfort and support. The shoes come in different colors and designs. 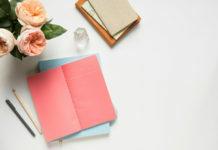 Depending on your personality, style or rules in the place you’re working for, you can easily find one for you. We’ve mentioned quite a few trusted brands and our models of choice. We hope that this gives you somewhere to start as you try to find the most comfortable nursing shoes for you. At the end of the day, each person will have different pairs of shoes that suit them because each nurse’s body is different. 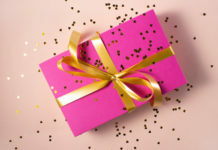 Good luck on the shoe hunt!